Animals have been invading social networks, Twitter is one of those social networks. You will be amazed and rather jealous to find that these animals probably have more followers than you. Here is a list of animals on Twitter that have the most followers. The followers figures are as of time of posting, some are gathering more followers everyday, while there are a couple that are losing followers. 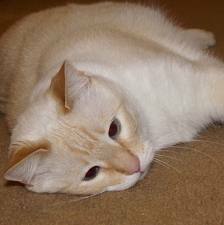 Tuffy is a Flame-point Siamese mix cat that has a popular and still very active Twitter account. 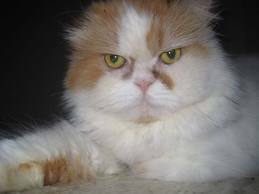 Tuffy likes to talk with her followers and interact as well as mention in a playful manner what goes on in the mind of a cat. The tag line for Tuffy is:Born to be doted on. Likes rattle mice and string-on-a-stick. Thank you for the follows!! 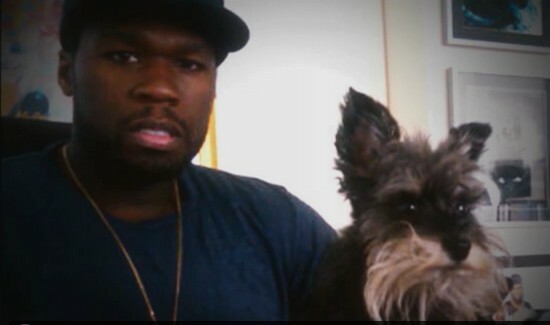 Rapper 50 Cent has a dog named Oprah Winfree with a very popular Twitter account. 50 Cent and Oprah Winfrey had some kind of a fued at one time and asked why he named his dog Oprah, 50 Cent replied, “At the time, I was just looking at the situation, and I saw I was developing negative feelings for someone who doesn’t even know me … and I gave it to the dog”. There have even been a couple of jabs at Oprah the person. But the two have apparently buried the hatchet, with 50 admitting he’s admired the venerated TV fixture for some time. This Twitter account has not been active in quite some time and seems to be losing followers rather than gaining as others on this list do. This famous squirrel got his start when Melissa Brandts, was at the Banff National Park in Alberta. She had set up her camera on a tripod to capture her and her husband, Jackson, in front of picturesque Lake Minnewanka. A ground squirrel became curious and “photo bombed” the picture. 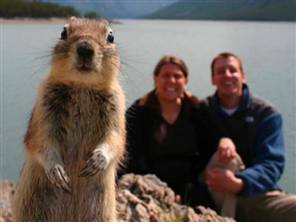 The couple submitted the photo to a National Geographic contest and The Banff Squirrel became an internet sensation. Banff Squirrel has now become the face of tourism for the Canadian town and park. He turns to twitter to spread the word of his hometown. Stanley Pinkerton is a Bassett Hound from Myrtle Beach, SC. He is the CCO (Chief Canine Officer) of Pinkerton South, an advertising and marketing agency. Mr Pinkerton is very active on Twitter and will tweet about a lot of various subjects, mostly to do with a dogs life. 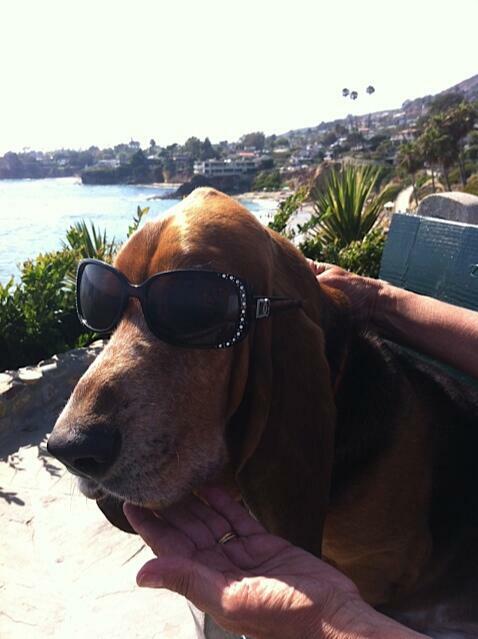 He has a passion for aiding other bassett hounds especially those in need of a good home. His tag line reads: I’m a Carolina Basset Hound y’all: purveyor of fine naps + delectable treats. Lord of the Cats, and President of the Sneaky Dog Club, livin large on the couch. Romeo is a rescue cat that was adopted by owner Caroline Golon in 2009. Golon decided it would be fun to open a twitter account in Romeos name and attract some attention in order to receive donations to help animal welfare organizations. She started out by offering 5 cents for every person that follows Romeo on Twitter. Then some pet loving fans took the cause to a new level and began matching Golon and Romeo’s contributions. Even companies like FURminator, Petco and Iams got involved by donating products to the non-profit groups supported by Romeo the Cat. Romeo and Golon choose a different organization to benefit each month. 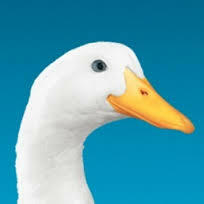 Aflac Inc. is the largest provider of supplemental insurance in the US. Since 1999 the company’s brand has become widely recognized due to TV commercials featuring The Aflac Duck. The duck concept and all of the commercials to date have been created by Kaplan Thaler Group. In 2005, the company logo was changed to incorporate the duck. Using Twitter, the Duck participates in real-time conversations with followers, and engages followers while talking about life, the Internet and working at Aflac. At the beginning of last year a Premier League soccer game at Anfield stadium was brought to a standstill after a stray cat wandered into the stadium and caused him to instantly become an internet sensation. The grey and white tabby was shoved off the field and released on the street outside the ground. 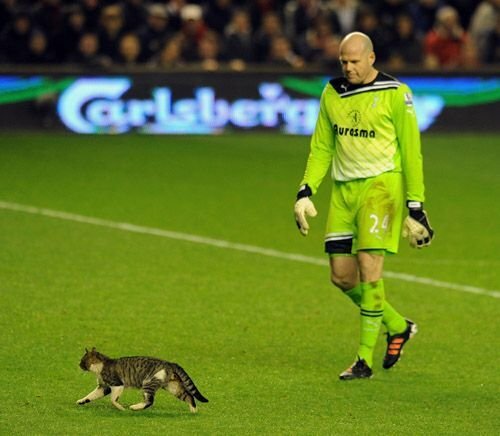 The Anfield cat became an internet star within minutes attracting a lot of followers. The actual cat is believed to be wild and still roaming the grounds. @AnfieldCat continues his tweets of news, soccer and gossip. This twitter account is rather puzzling that it would have so many followers. 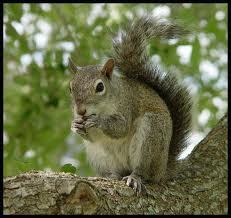 Common Squirrel posts tweets such as, “hop”, “run, run”, “ dig, dig”. I guess if you are looking for some comedic relief and a break from the cluttered feed then this would be a great one to follow. No one seems to have info on this elusive squirrel, just a mysterious person, with no contact info, tweeting as a very popular squirrel. In 2011 an adolescent Egyptian Cobra went missing from the New York Bronx zoo. 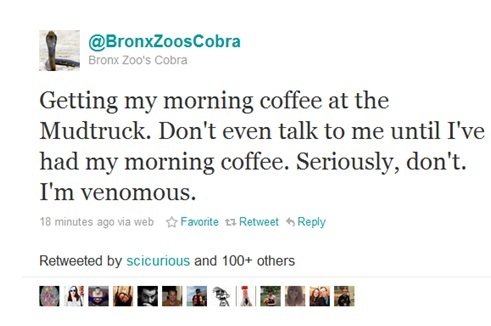 While zookeepers scrambled to find the cobra it seemed to have taken to twitter. Tweeting on all the fun things he was up to while ‘on the loose’. The cobra was later found in a dark corner a couple of feet from the enclosure. After being found @BronxZoosCobra’s tweet read “Oh this isn’t over,” a tweet from @bronxzooscobra said. “Tomorrow is going to be big. This has only awakened the sleeping Bronx Zoo’s Cobra nation. Tune in tomorrow. You’ll never see this coming.” The Bronx Zoo Cobra is still tweeting! 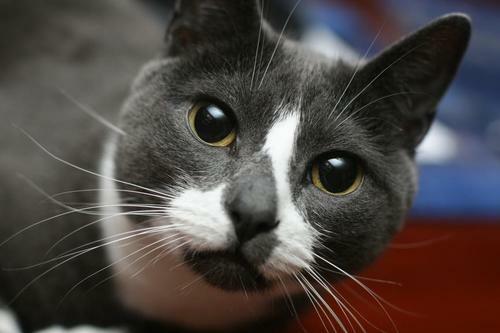 Sockington, also known as sockamillion and socks, is a grey and white domestic cat, and his age is eight years old; he was found as a stray outside a Boston subway station in 2004. He has gained large-scale fame via Twitter; his owner, Jason Scott, an archivist and Internet historian, has been regularly posting from Sockington’s Twitter account since late 2007. Tweets, are written by Scott from the perspective of Sockington. @sockington is the most popular nonhuman tweeter, and the 100th most popular Twitter feed.